⭐ Are you a female entrepreneur with your own business or perhaps ready to start one? ⭐ Do you feel overwhelmed trying to keep on top of social media but don't want someone else to take over for you? ⭐ Finding it hard knowing what to post, how to keep your fans engaged & how to gain sales? ⭐ Are you too busy to smash your social media content out there, but equally fed up of not progressing? 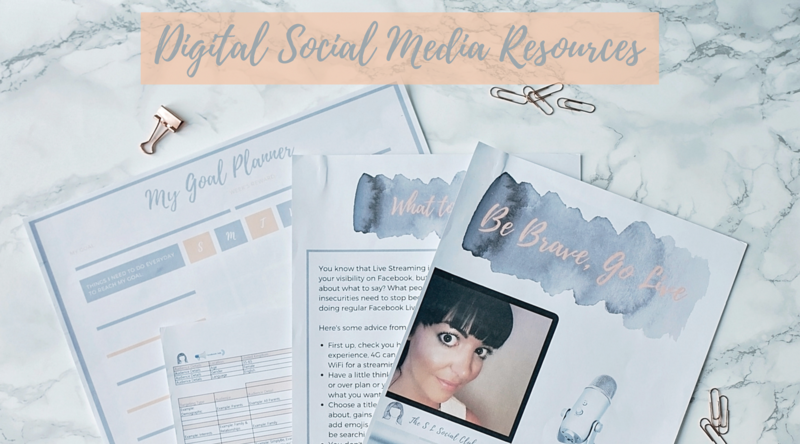 Through The S L Social Club, I will provide you with templates & workbooks each month that will take the anxiety away from being present on social media. I will share my 14+ years of digital and social marketing experience & insights so you can learn tricks of the trade, easily. Each month, you can access fresh documents to download (or choose to download a years' worth immediately for £240). 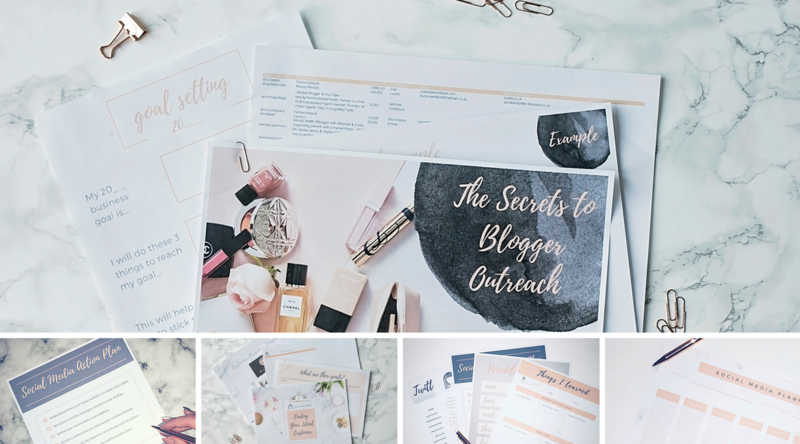 Topics & templates such as content planning, creating free & compelling imagery, tackling blogger outreach & getting organised so you save yourself hours of work. Fresh content available every 28 days from the day you enrol. You can access & download all the materials 24/7 via an online training platform which is super easy to use. As well as the 85 resources available to download, there will be easy to follow challenges & appearances from me to help you along the way. Go from being stressed out and guessing as you post, to relaxed and highly knowledgeable. Who is The S L Social Club for? Business owners, female entrepreneurs, bloggers - if you have a product or service to offer and a limited budget to do so, this option is ideal for you. The content you read will teach you valuable strategies for building your online presence. £15.00 per calendar month for 12 months from the day you join (cancel hassle free at any time, so you don't feel tied in). You’ll get your own login and password as soon as you join as well as access to the private Facebook Group. You can access a fresh bundle of resources every 28 days online. The 85 resources are waiting for you to unlock now so you can access within minutes of enrolling. There are tons of free training classes available online, so why is yours paid? Good question! Well, I have been Head of Social Media in Global Ad Agencies for 12 years prior to starting my own social media coaching business. So, unlike 90% of the 'experts' out there, I can guarantee that you are learning from the best. Yes, there are hundreds of freebies out there but my content has been carefully crafted based on the exact work I carry out for brands such as ITN, Harvey Nichols and Heineken. I know you’ll never want to leave me! But if you want to take a break, you can cancel your membership at any time. No obligation, no contract, opt out at any time with ease. This is your opportunity to start seeing some real progress, have more time to work on your business and enjoy learning simple techniques that are proven to work. I can't wait for you to join us all!